Imagine if you have one stop solution for VFX needs. 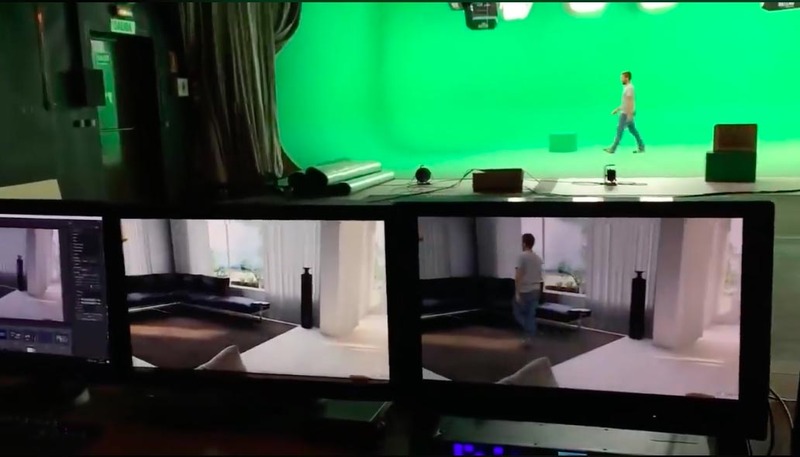 On-Set Facilities (OSF) started as a collaboration between a various digital media and VFX studios, based in the United Kingdon, Madrid, and Sydney. With head offices in London, between them the OSF team has a combined 35 years experience working in motion pictures, commercials, games, and digital content production. OSF team have worked on multiple commercial and films including Star Wars, Superman, and The Matrix to name just a few, the OSF team spotted the opportunity to create a company that specialised in the digital transformation of film sets by bringing desktop VFX and digital production technologies to sets, locations, and studios, worldwide. As well as being out on location, OSF operates three full-time physical post-production studios from where OSF teams design, deploy and deliver post-production services. In the UK, the OSF VFX Facility operates from the OpTic Centre a world-renowned R&D and Space Science facility in North Wales. In Spain, OSF operates from a studio just outside of Madrid. In Australia, OSF is based in Sydney’s world famous Fox Studios. The digital production service company, On-Set Facilities (OSF) supply the worldwide creative industry with digital on-set facilities. OSF develops solutions in real-time VFX, data management, and digital service production. OSF also provide soundstages, production vehicles, technical crew, and hardware. Ultimately, OSF supply productions with everything in digital production, an emergency V-Lock battery to fully equipped on-set VFX facilities. OSF also provides all required location vehicles, technical crew software, and hardware. Starting in the digital content and TV commercial production industry, OSF moved into providing digital on set facilities to films and television. Having produced in many countries, OSF has the global network and experience to deliver on set digital facilities to sound stages, practical locations, and specialist locations. An OSF Special Operations unit provides digital on-set facilities in some of the worlds most demanding locations. As productions gear up to meet the demands of content-hungry audiences, OSF facilities have become an integral part of the production process. With OSF, Producers, Directors, and HODs can digitally transform any set, if you can think it, we can build it. This is another test with a scene made by Sungwoo Lee, it uses Octane Render in Unity and then baked into UE4, we are now all waiting for Octane render for UE4, and expect a release in the near future. Thanks to Sungwoo for this test. This video shows the Rokoko Motion Capture Suit – Realtime VFX animation motion capture 3D – realtime VFX live animation.